Building a new home extension or a home refurbishment can certainly help one focus on the overall environment of the home ones lives in. We at Mint recognises that there is a growing trend to improve the fresh air quality , within the modern home which of course applies also to say a new light airy extension just built, or a stylish, expansive open plan kitchen living space. For sure for some that much in demand healthier fresh air indoor environment has its tick box on the list when planning to extend or renovate. considerable importance. Homes and Property reported recently that the air we breathe can be more harmful to our health than outside pollutants, so it’s important indeed to keep on top of the air quality in our homes using some ingenious ways to monitor it. This monitoring often leads quite naturally to considerations of reducing air pollution within our homes. Such measures could be carbon monoxide detectors that double up as fire alarms to air purifiers that can provide five complete air changes an hour. Then there’s also certain handy ‘gadgets’ that can help householders keep on track and improve the air quality in their homes whether it be the new just finished extension or indeed the longer standing ‘older’ areas of the home. More simply, if you’re looking for a more natural way to combat the chemicals than using tech gizmos, plants are well to the fore. So, it’s time to step up your house-plants count, which is for sure a splendid idea in terms of air quality potential and highly exciting visual effect too! 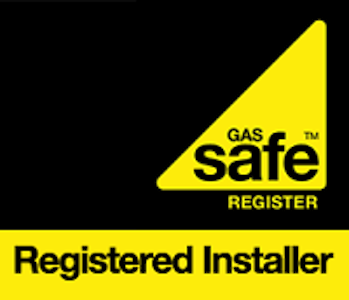 Carbon monoxide is a colourless, tasteless and odourless gas that kills about 50 people a year in the UK. It’s produced when a fuel burns incompletely. So if you burn gas, oil or solid fuels — even if that’s just your gas central heating boiler — be sure to have a working carbon monoxide detector. 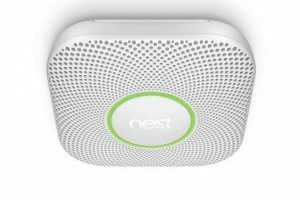 This Nest smart alarm does double duty as a smoke alarm, too. Understand the air in your home with this handy device. Indoor air quality is far worse than that on our streets: pollutants get pulled in as we walk through the door and there’s not enough ventilation to remove them. We also contribute to the problem with everything from DIY to cooking. Understand the air in your home with this device which monitors five things: fine dust (PM2.5), chemicals (VoC), carbon dioxide, humidity and temperature. An app keeps track and offers advice. Dyson combines its air multiplier cooling fan technology with a fan heater and HEPA and carbon filters to improve air quality. 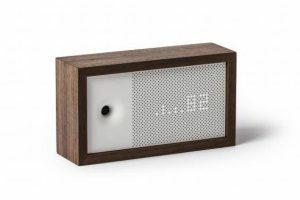 Built-in air quality monitors report back to a companion app and display a cute graph on the front. It won’t improve air quality as much as a larger, dedicated air purifier, but it does make a difference and warms or cools you in the process. 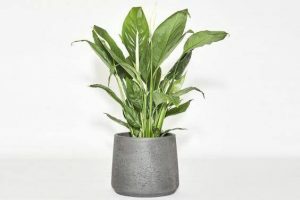 Peace lilies were found to be one of the most effective plants at cleaning air by Nasa scientists. Boffins at Nasa tested houseplants in 1989 to find out which were best at improving indoor air quality. All healthy plants help to clean the air, but the peace lily (spathiphyllum) proved one of the best, mopping up environmental contaminants benzene, formaldehyde, trichloroethylene, xylene and toluene. If you’re concerned about chemicals coming from new furniture finishes, carpets and more, then this hard-to-kill plant will help. This is powerful enough to provide five complete air changes an hour The only way to truly get clean indoor air is a dedicated air purifier. This one has an extra-fine 0.1-micron HEPA filter which removes more pollutants than most, including not just particulates but viruses and bacteria. Meanwhile, its carbon filter is essential for absorbing the nitrogen dioxide from traffic fumes. It’s powerful enough to provide five complete air changes an hour in larger rooms or a small apartment of up to 72 square metres. For smaller rooms, look at the Classic 405 smokestop. Both feature air quality sensors and can be monitored via app. Priced £839. Activated by sunlight, Airlite’s interior paint neutralises airborne pollutants. This interior paint is unusual in two ways. Firstly, it comes as a powder that you mix with water to make a mineral, inorganic paint with high breath-ability. Secondly, it improves your indoor air quality. Activated by sunlight, the paint neutralises airborne pollutants — everything from nitrogen dioxide to airborne bacteria and mould. Available in more than 180 colours, including primer. Mint can help you get the extension you want most for your home. Refurbishment, improvement and extension – Mint offers a full development and finishing service to add value to your home and we’ll help with any questions or concerns you have. Whatever your need request your ‘Extend Instead’ review or quotation to improve, refurbish or extend your home . Contact Mint Builders on 01242 279739 or email info@mintbuilders.co.uk.